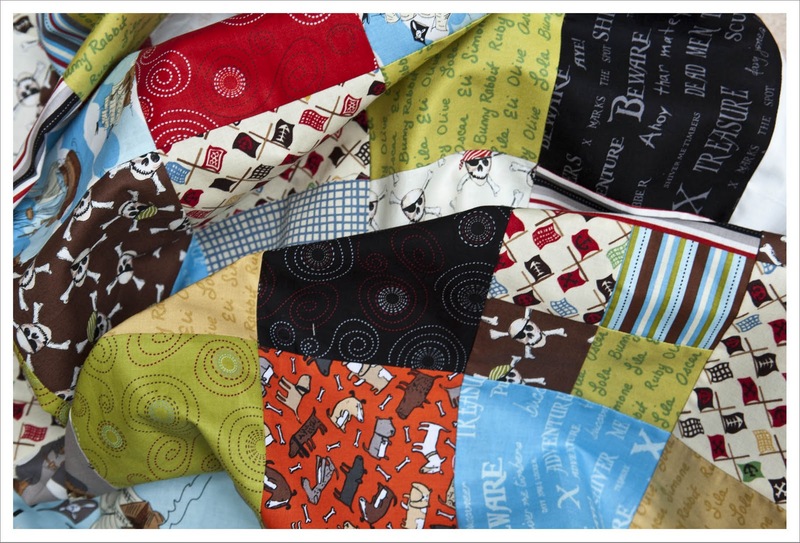 Having finished 'Lotta fly away' last week I wasted no time moving on to a new quilt project. After some contemplation I decided I'll make a quilt for my little nephew for Christmas although I already bought a book for him. That will make it two presents from me which is not something we normally do but my excuse is that he is my godson and he will get a normal single bed soon, so he needs a new quilt. I am using my Emily Taylor Pirate, Timeless Treasure 'Dogs', Alexander Henry 'Bizness Pirate' for this plus others from my stash. Echo what Hadley said! 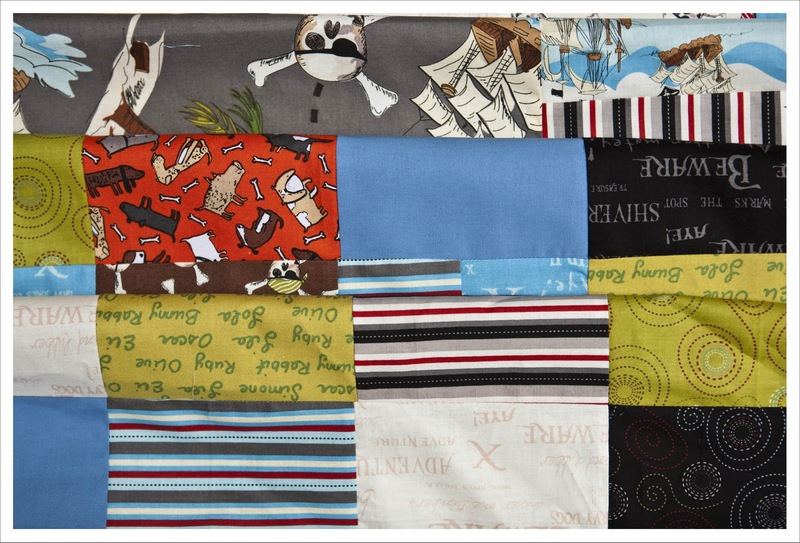 Great pirate prints! Wow! You are going to be a very popular Auntie! Great fabrics! Love those prints, he's a lucky boy! Godchildren are supposed to be spoiled. 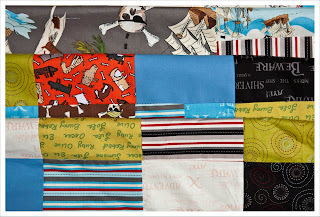 Can't wait to see the finished Pirate quilt.